Opposition politicians last night claimed business could be harmed because of the slowness of the process. The figures were revealed in a Scottish Government report looking at appeals lodged by businesses following the controversial 2017 rates revaluation. Revaluations are conducted in an attempt to ensure that rateable values keep pace with the changes in the property market. Businesses who disagree with the valuation of their property are entitled to dispute it. According to the document, more than half of Scottish businesses who lodged appeals were still waiting for them to be resolved at the end of December. The document revealed that appeals had been resolved for 30,443 (41%) of these properties with a total reduction in rateable value of £88 million. However, a total of 43,425 against the 2017 revaluation were still outstanding. These included 6,343 in Grampian (Aberdeen, Aberdeenshire and Moray), 2,042 in the Highlands and Western Isles and 300 in Orkney and Shetland. Colin Clark, Scottish Conservative MP for Gordon, said: “This report makes clear that more than half of appeals from the 2017 revaluation have not been dealt with yet. “It shows again that the system is far too slow for many businesses, who are left in limbo in the meantime. 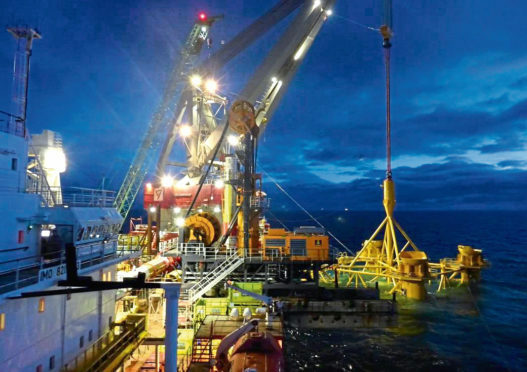 Businesses were angered that the timing of the revaluation “disproportionately” affected firms in Aberdeen and Aberdeenshire because it failed to reflect the oil and gas downturn and its impact on the north-east economy. A Scottish Government spokeswoman said: “The Scottish Government has supported the north-east throughout the rates process, by capping business rates for properties in Aberdeen and Aberdeenshire. “Property valuations are carried out by independent assessors in Scotland. The appeals process is administered by legally independent Valuation Appeals Committees – the Government has no locus to intervene in that process and it would be wholly inappropriate to do so.